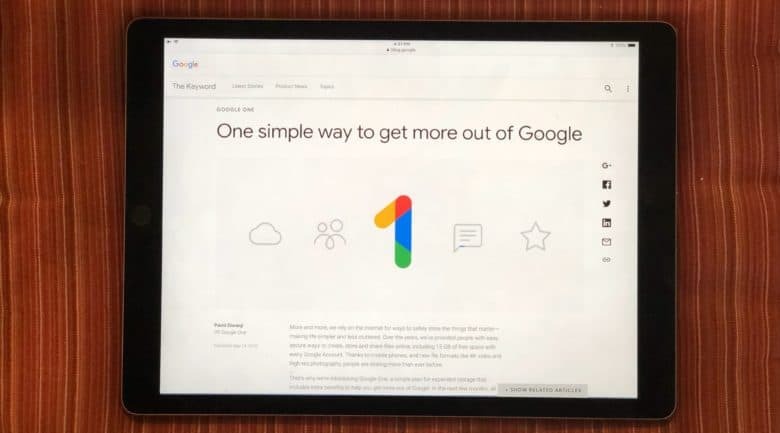 iPhone, iPad, and Mac users have the option to choose Google One, which is integrated into iOS and macOS into some ways, but not as closely as Apple’s iCloud. In recent weeks, current subscribers of Google’s $9.99 a month plan should have noticed that their capacity doubled from 1TB to 2TB. It’s now possible for new customers to sign up for this 2TB plan. Customers can also subscribe to a just-launched 200GB plan at $2.99 a month. The company’s basic 100GB for $1.99 offering is unchanged, as are its enterprise storage plans. Google still offers 15GB of free storage to all. The move from Google Drive to Google One is still a work in progress. The iOS Drive app still lists the old, out-of-date plans and prices. And there’s no Google One app. There seems little room for doubt who Google was looking at when it updated the sizes and prices for its online storage plans. Google One and iClud line up just a little too closely for it to be a coincidence. Apple already offers 2TG of data for $9.99 a month, just like the one Google now has. Before, iCloud was a much better deal. And the iPhone maker has long had a 200GB plan $2.99 a month. Google One copies this one too. Apple’s iCloud offers 50GB of capacity for 99 cents a month, while its rival’s base plan has twice that much storage for twice as much money. So they’re essentially equal value. However, iCloud is chintzy about free storage, offering just 5GB. That’s one-third as much as Google. This is an area where Apple has faced criticism, especially as all iCloud users must own an iPhone, iPad, or Mac. When choosing a plan, potential Google One customers should remember that their capacity will be shared by Gmail and Google Photos. Of course, iCloud is similarly used to store images from Apple’s Photos app, iOS backups, iBooks, etc.